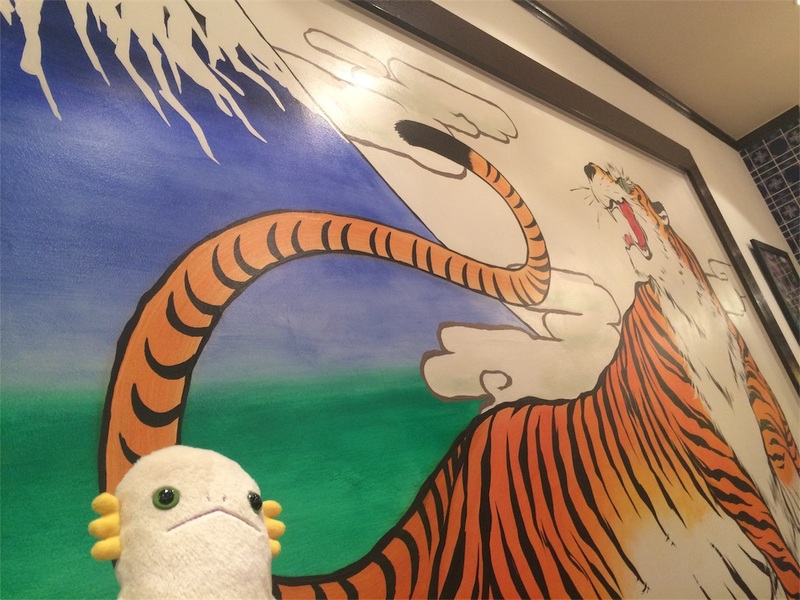 Please don't eat Alien, Mr. Tiger. 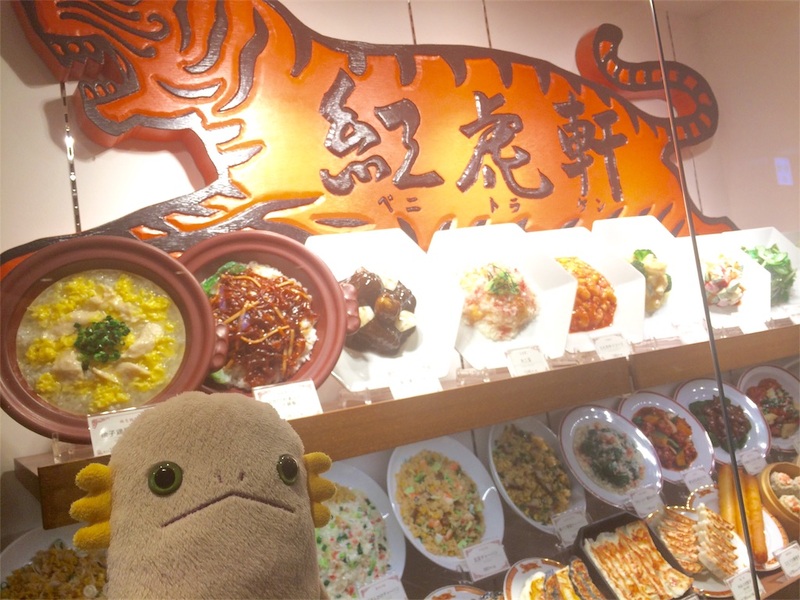 Alien want to introduce Alien's favorite restaurant. Benitoraken, a Chinese restaurant on 11th floor of Tennoji MIO. It is very close from the stations. This place has many kinds of dumplings. 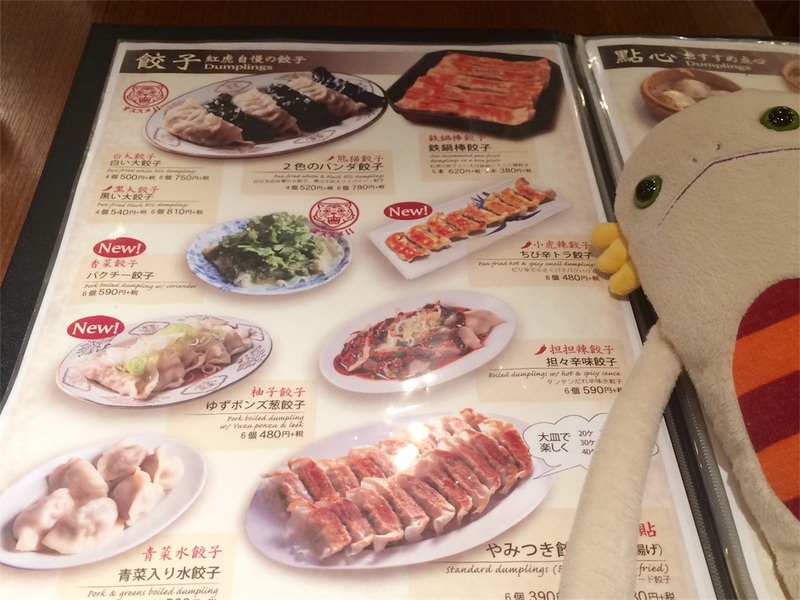 Today Alien will order Alien's most favorite dishes. 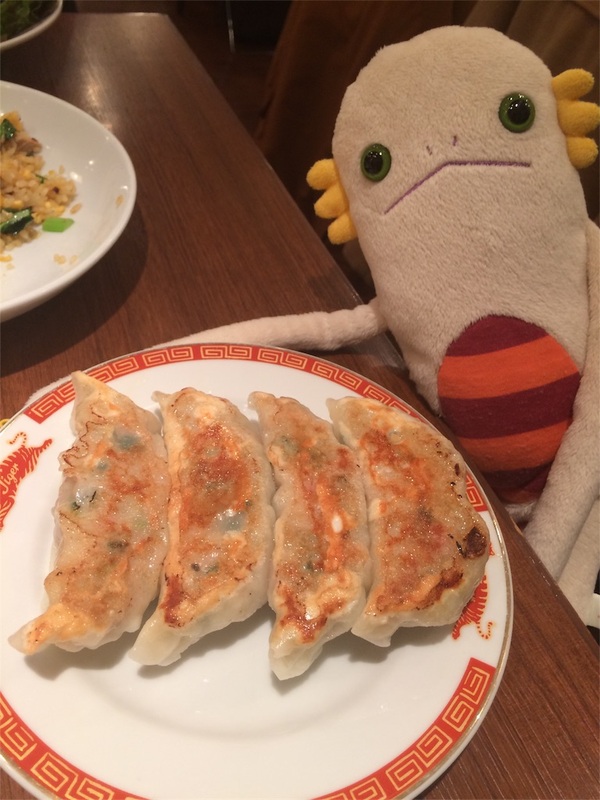 This is Alien's favorite dumplings here. 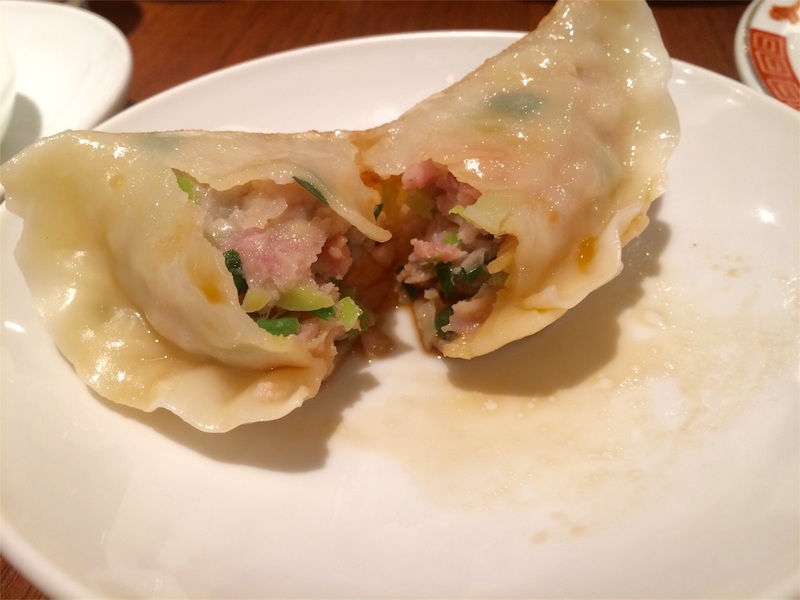 Big White Pot Stickers, 500 yen for 4 dumplings. Filling is soft and juicy...Alien can feel sweetness of vegetables. Nice flavor of Chinese chive. Alien will order this again next time for sure! Yummy. Another favorite is Pork Belly and Veg Fried Rice, 880 yen. Yum! A lot of pork and vegs. Huge portion! It does contain much oil but Alien can't stop eating. Alien love this flavor! Alien will order it again for sure. It comes with a soup. Good deal. 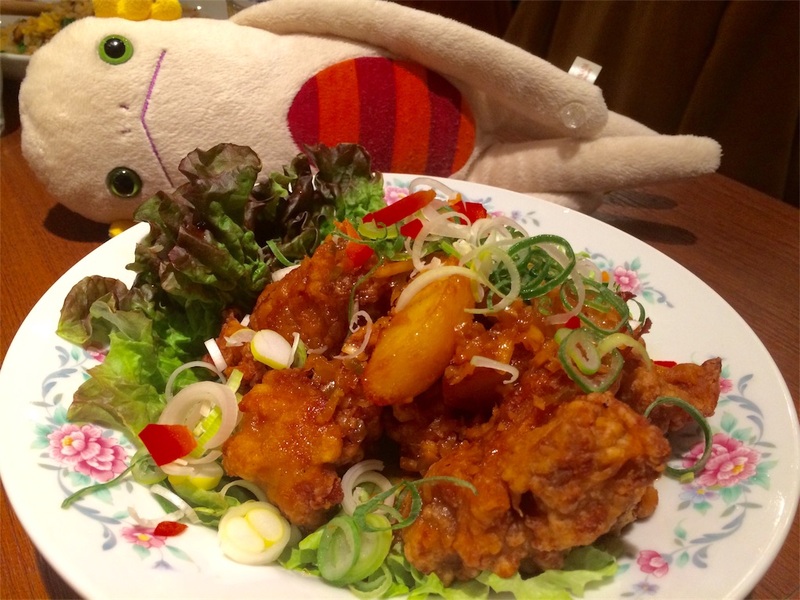 Alien also had Yu Lin Chi, a dish of Chinese-style fried chicken with sweet and sour sauce. 980yen. Yummy. Sweet and sour, with a flavor of hot pepper. Crispy batter! Chicken was moist and juicy. Deep-fried lotus roots also goes perfect with the sauce. yum yum. 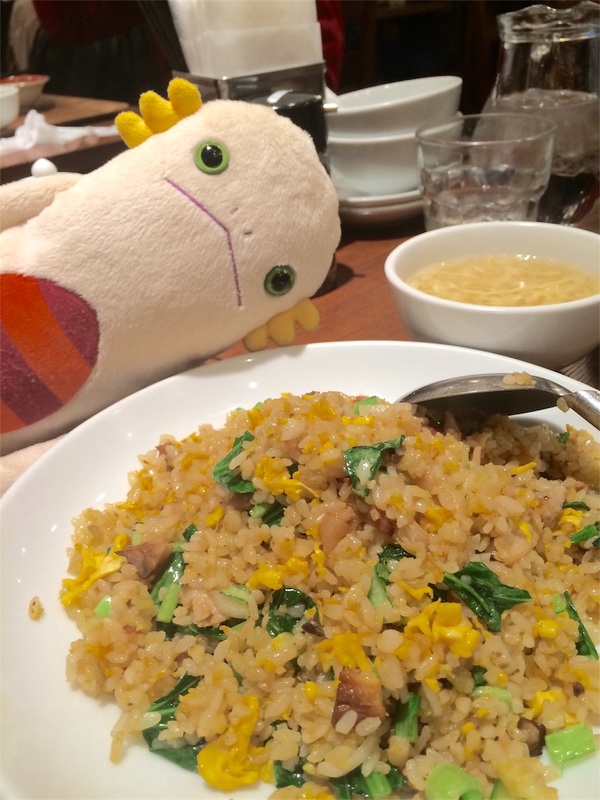 Alien's stomach feels heavy when Alien have oily foods. Let's buy disestive medicine and go home.